It’s time for another movie review presented by our good friends over at FatCats Gilbert on the southwest corner of Greenfield and Baseline! FatCats Gilbert is the best place to see all of the latest box office hits like Shazam! and Us! To see all showtimes and to purchase tickets, you can click right HERE! It’s shaping up to be a good year for horror, and Stephen King’s stories are right at the center of it. With Pet Sematary, It: Chapter 2, and Doctor Sleep all hitting theaters this year, it’s another year packed with Stephen King adaptations. That’s one of the biggest trends right now, and as a big fan of King’s, I’m all for it. Horror has also come around recently to become one of the better genres artistically. Horror movies no longer get passes for lacking in technical or creative categories. It’s only a matter of time before they get the recognition they deserve when award season comes around, and though I wasn’t expecting Pet Sematary to be a contender for awards, I was hoping it would keep up the trend of great horror movies. Pet Sematary is directed by Kevin Kölsch and Dennis Widmyer and stars Jason Clarke, Amy Seimetz, John Lithgow, and Jeté Laurence. Louis Creed moves his family from the city into a rural area in Maine. After some weird occurrences around the house and at his workplace, he starts to investigate his new property, realizing that it’s more mysterious than he had originally thought. First of all, the performances in this movie are amazing. I’ve always loved Jason Clarke, and it’s unfortunate how little recognition he gets when I think he does a good job of picking projects and an even better job of acting in those projects. This entire movie relies on the hope that the audience buys into the relationship between Jason Clarke’s Louis and his daughter, Ellie, played by Jeté Laurence, and I really did. I was emotionally invested in the bond between the two, so I bought into the premise. I believed that Louis would go to the lengths he does for his daughter, so some of the drama worked. I also loved Amy Seimetz. Her character probably has the best individual motivations in the film, and she brings the psychological terror. Something continues to eat away at her, and the way her performance ties into the themes that come with death, the psychology of death, and the lengths death can push a person to was probably the best part of the film. I love when movies address the effects of death. It’s one of life’s great mysteries, and often times it plays a role in moments that change our lives forever. The horror plays off of the uncertainty and the idea of bargaining to bring your loved ones back and get a little bit more time with them, so Pet Sematary does have the ability to get under your skin more than a few times. My biggest issue with the film is probably that it’s not giving us anything new. Of course, it’s based on a novel, which has already been adapted once, but even within the zombie sub-genre of horror, most moments aren’t surprising, which can be detrimental to the horror aspects. It doesn’t take any real risks with its storytelling either. It’s very exposition heavy, and even resorts to the old cliché where the main character simply uses Google searches to find more information about whatever the supernatural entity is. I also didn’t love the characters as individuals. I bought into their relationships, which makes the entire premise work, but I didn’t buy into them as individuals I should have cared about or taken an interest in, which again goes back to the conventional way of building up to the biggest conflict in the story. Overall, I liked Pet Sematary. It has excellent performances, and I bought into the father-daughter relationship, which is definitely the most important thing for the audience to buy into. I needed to believe that Louis would do unbelievable things to spend more time with his daughter, and I did. I also loved Amy Seimetz as the mother. She definitely has the most interesting individual motivation and is the best example of what death can do to a person psychologically, and I loved how the movie analyzed the human reaction to death. It’s creepy, and a lot of the horror works because of how the story capitalizes on our fear of the unknown and the “bargaining” part of the five stages of grief. It’s not doing anything unconventional, and I didn’t particularly care about any of the characters individually, but I cared about the relationships, and that seemed to be more important, both for drama and for horror. I’m going to give Pet Sematary a 6/10. 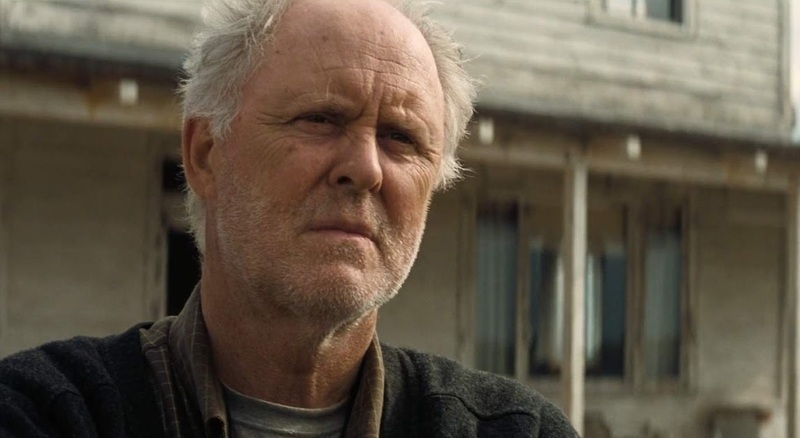 Will you be seeing Pet Sematary? Comment down in the comment section and let me know! As always, thank you, and keep listening to 88.7 The Pulse!